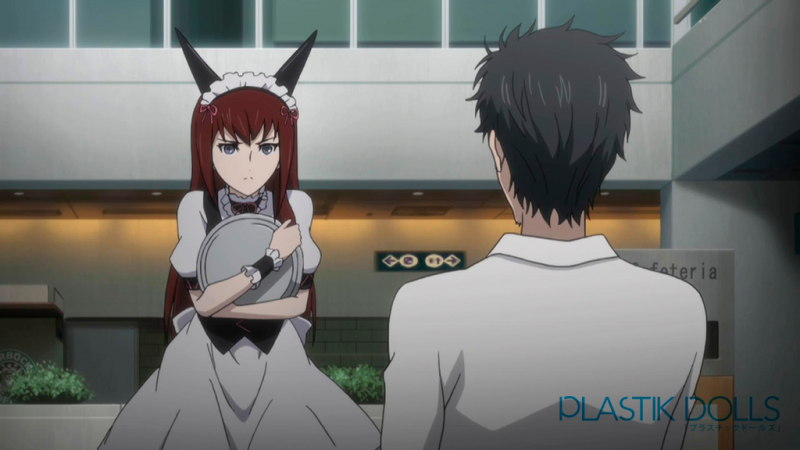 Most anime we watch is based in Japan and for good reason – it’s usually made there. Although anime’s roots are in Japan, they’re not always based in Japan. 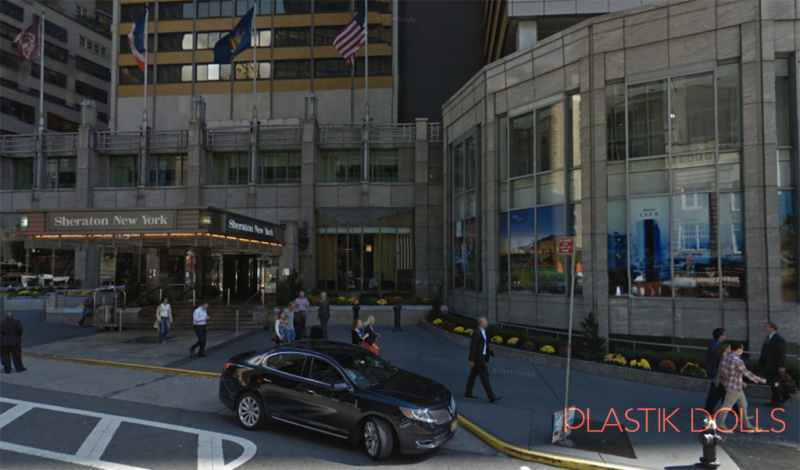 We found a few anime based locations to check out here in the United States that we visited in person and via Google Maps using the Street View feature. 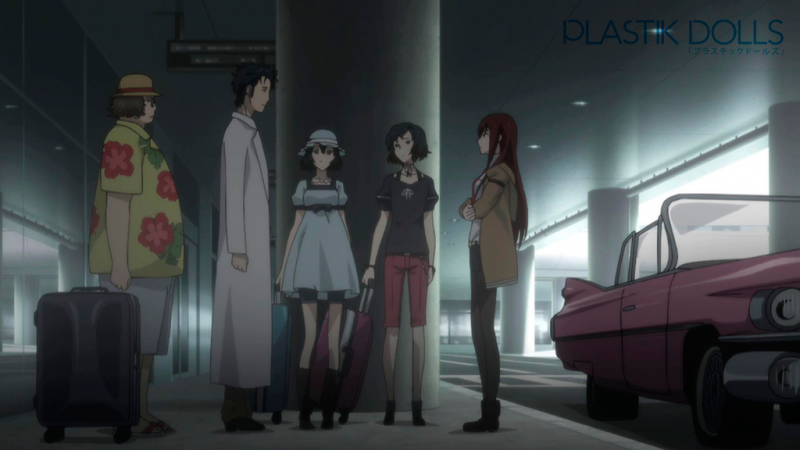 One of our favorite series is Steins;Gate. For the uninitiated, here’s the plot summed up in one sentence: A mysterious agency is after a mad scientist when he creates a time machine out of a mobile phone and microwave. 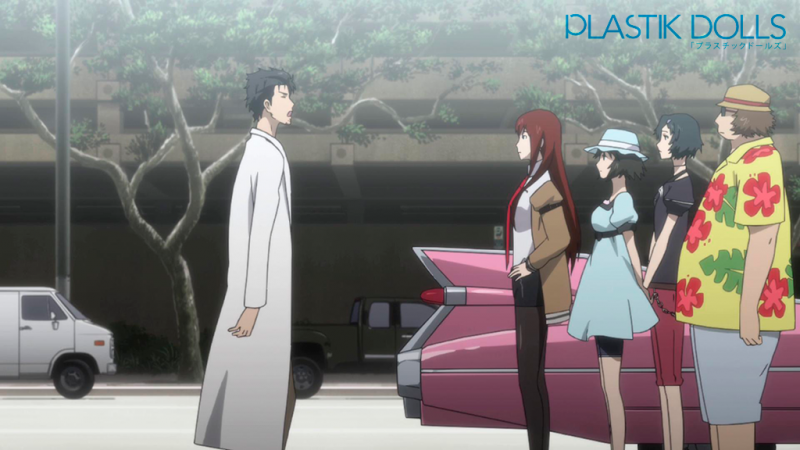 In the Steins;Gate’s final regular season episode, the Future Lab crew make their way across the Pacific Ocean to our home base of Los Angeles, California. 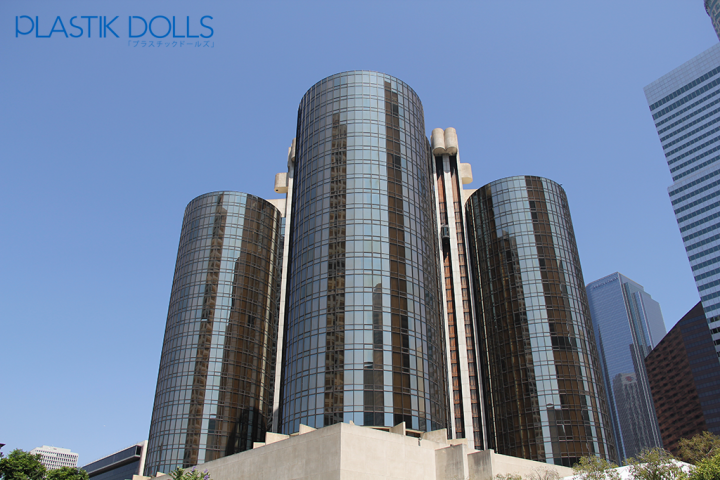 Steins;Gate Los Angeles pilgrimage locations include: The Westin Bonaventure Hotel & Suites, Los Angeles Convention Center, Los Angeles International Airport (LAX). The Future Gadget Laboratory gang getting picked up at LAX. 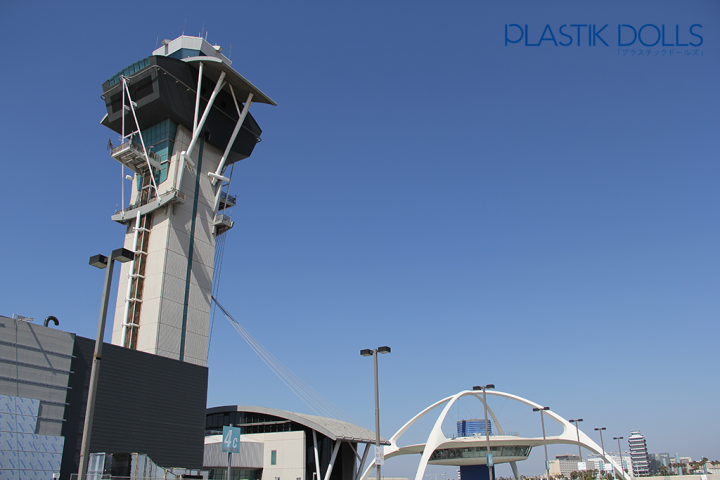 Los Angeles International Airport from the top of parking structure 6. 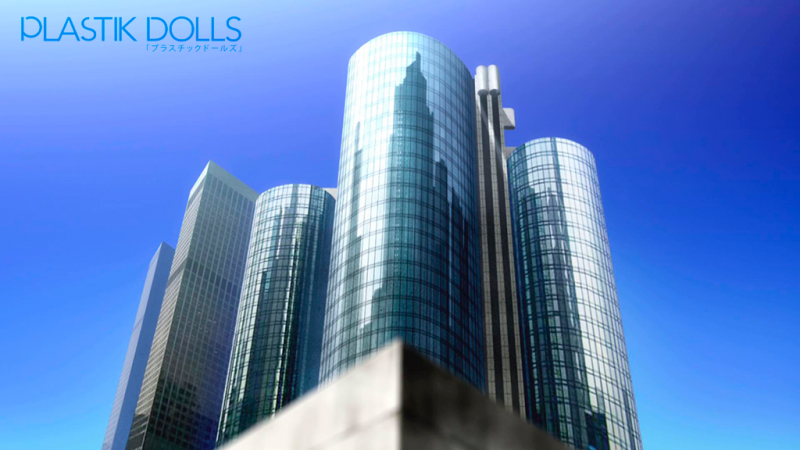 The Westin Bonaventure Hotel was also featured in Buck Rogers in the 25th Century, This is Spinal Tap, In the Line of Fire, True Lies, Mission Impossible III and more. 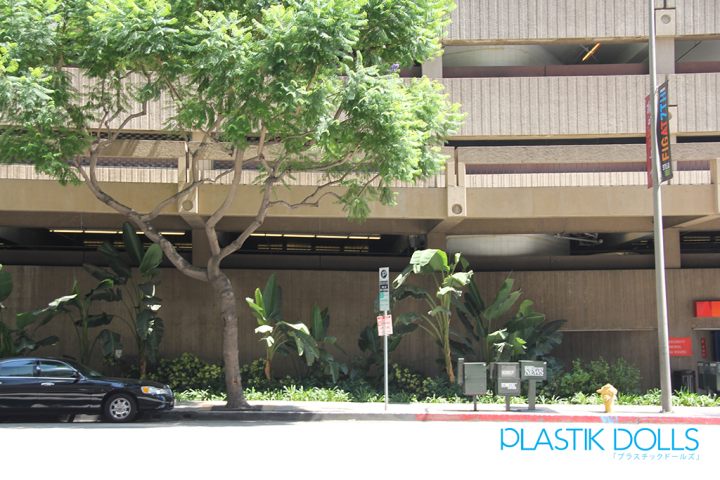 Just outside the valet area of the Westin Bonaventure Hotel. Take a look at the tree across the street in the photograph. It looks very familiar to the anime version. 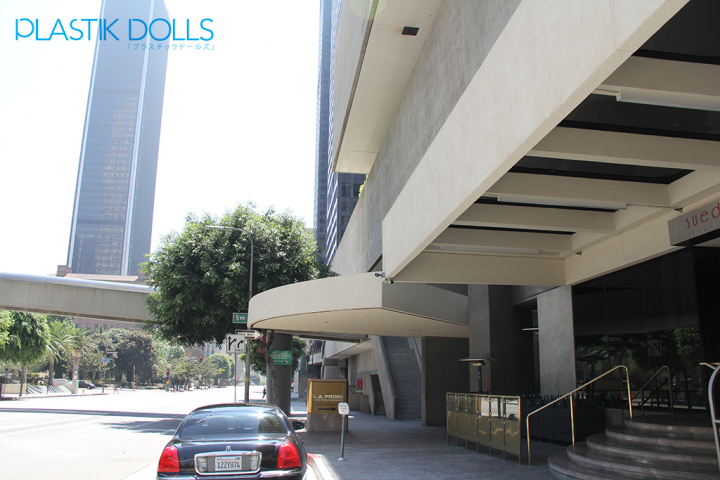 The valet area of the Westin Bonaventure Hotel. 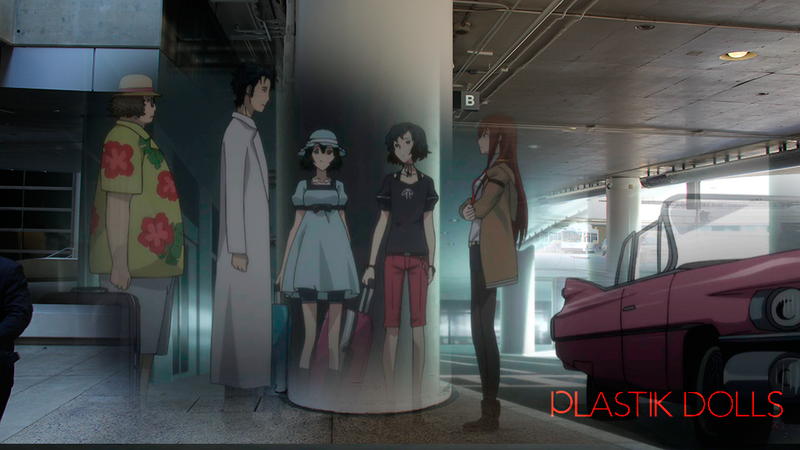 The next time you’re at the LA Convention Center (home of Anime Expo (AX)), take a look at the Compass Café to see where Okabe and Makise are situated. 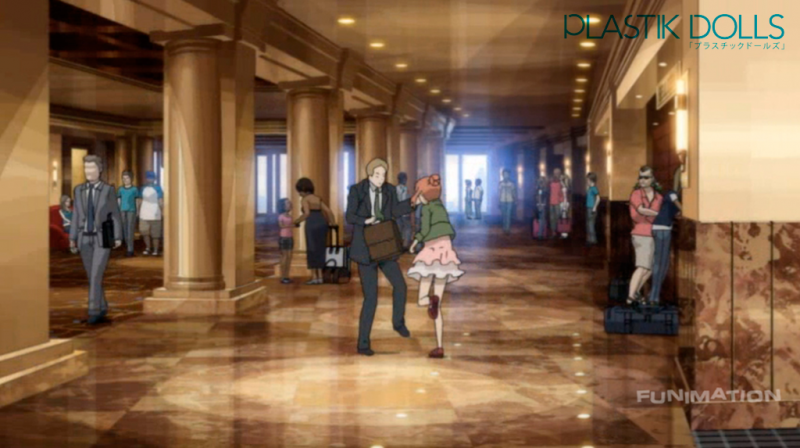 Eden of the East Movie 1: King of Eden is a movie sequel to the anime series, Eden of the East. King of Eden is a conspiracy thriller that takes its deadly action to the streets of New York City. 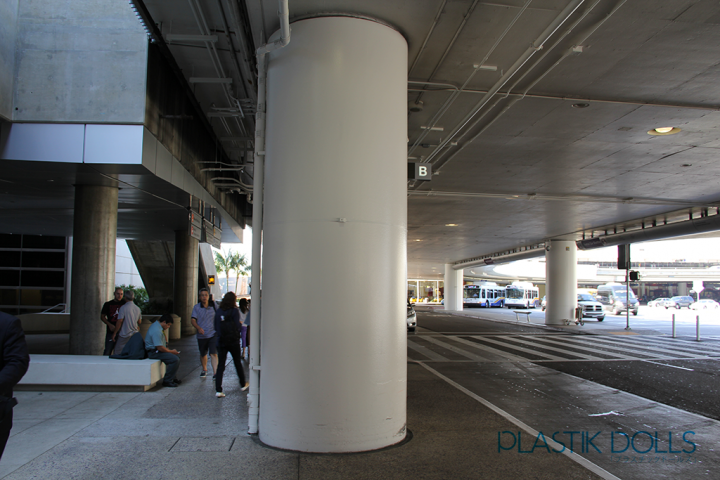 We visited locations virtually through Google Maps Street View. For those in Manhattan, you can visit these pilgrimage locations in person: Grand Central Terminal, Sheraton New York Times Square Hotel, among others. Being chased in the lobby of the Sheraton New York Times Square Hotel. Anime artists are crazy about detail and by looking at the above pictures, it really shows. 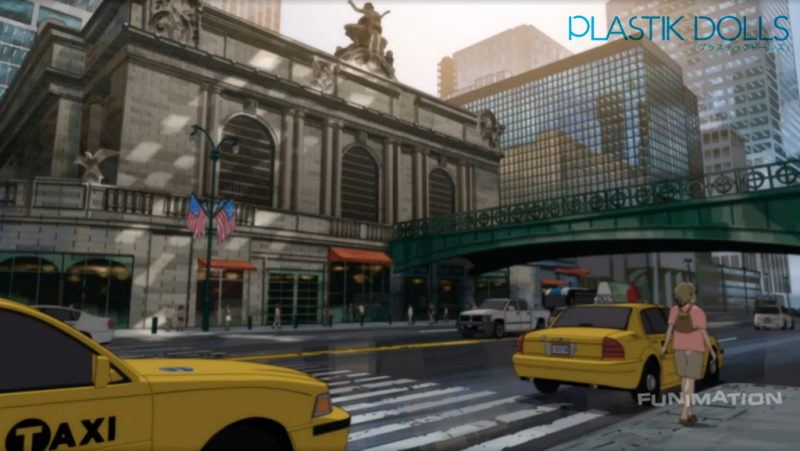 We’d like to visit so many more real life places that anime is based. 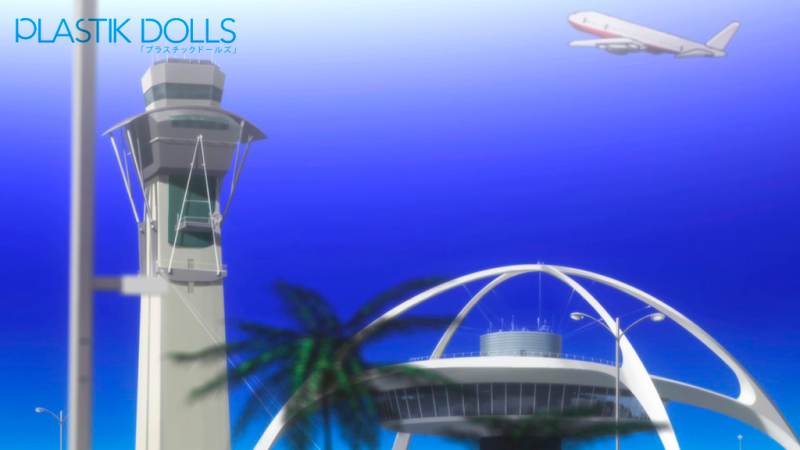 Which anime based place would you like to visit? 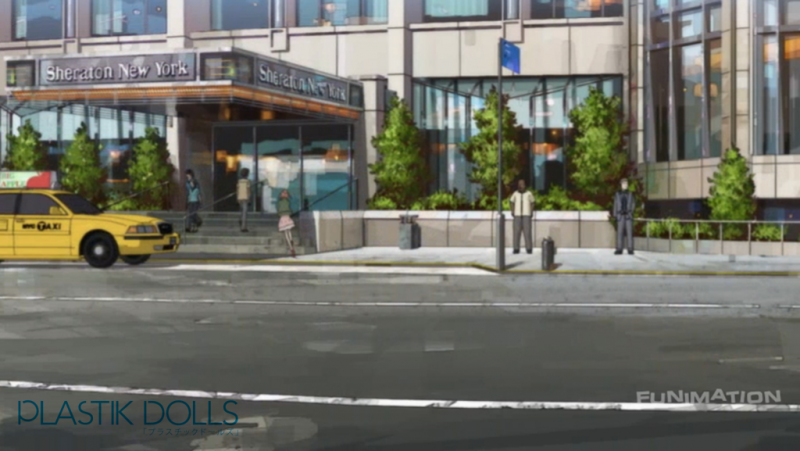 Are there any anime locations near you? If you’ve made a pilgrimage yourself, share them with us on our Facebook page. 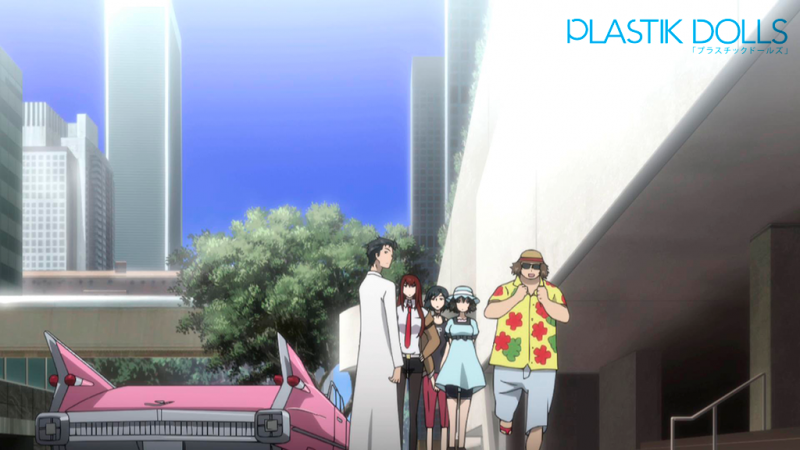 If you haven’t yet, don’t let that stop you from making an anime pilgrimage of your own. You can always visit an area virtually with the thanks to Google Maps. 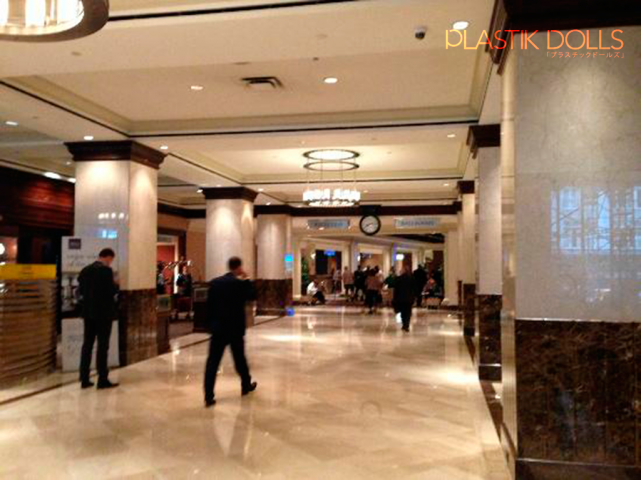 images: Jerry @ PlastikDolls, Screen captures courtesy of Funimation and Google Maps, TripAdvisor (Sheraton NY Times Square lobby picture). Tagged anime, anime pilgrimage, East of Eden, Funimation, Steins Gate.